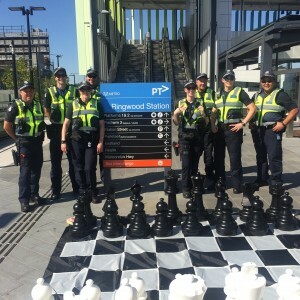 The EACH Health Promotion and Youth and Family Teams recently partnered with Maroondah City Council on a Community Stations Project at Ringwood Station. 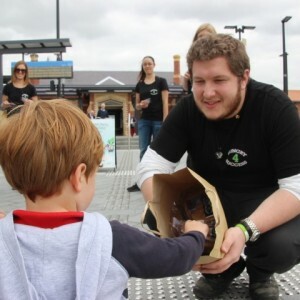 The Community Stations Pilot Project was developed by Public Transport Victoria (PTV) in conjunction with the TrackSAFE Foundation, and Metro Trains Melbourne, to create a positive environment at stations to improve customer’s wellbeing and social connectedness through a range of events and activities. The Health Promotion Team provided a qualitative evaluation of two events at the station, using interviews on the platform. 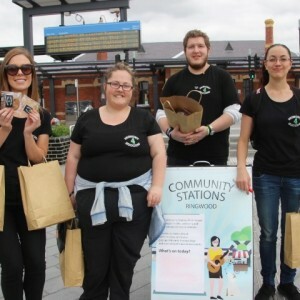 The evaluation demonstrated that this community stations project produced an increased sense of belonging and the station as a setting for community connection. One of the events involved our youth social enterprise Hungry4Success team baking cookies to give out at the station on Valentines Day, with a message of positivity and hope. 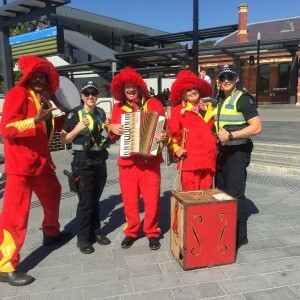 The second one was a Victoria Police community engagement activity event. Read the snapshot evaluation of these two community stations events here. Watch this Community Projects video here.